There are currently five north-south subway lines and three crosstown lines running through midtown Manhattan. However, at the moment, there are no north-south or east-west subway lines providing service to the areas west of 8th avenue. By contrast, there are several subway lines that currently provide service to Manhattan’s East Side. 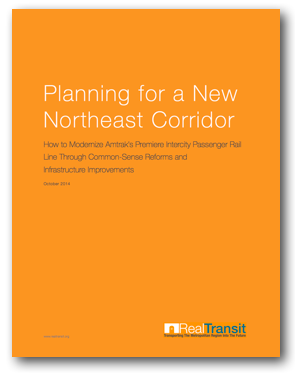 In addition, the planned Second Avenue Subway will add a new full-length, north-south line on the East Side. Provisions to correct this imbalance in mass transit options for Manhattan’s West Side have begun with the construction of a one-stop, westward extension of the 7-Line to the Javits Center. However, in order for the growing West Side neighborhoods of Riverside South, Midtown West, Hudson Yards, and West Chelsea to realize their full potential, a new, full-length West Side Line needs to be constructed in the future. 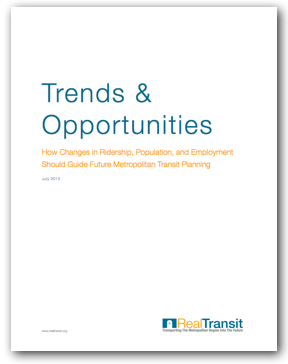 By 2019, some of the largest capital projects in New York City’s history will be complete, leaving room for the next great wave of transit construction to begin. 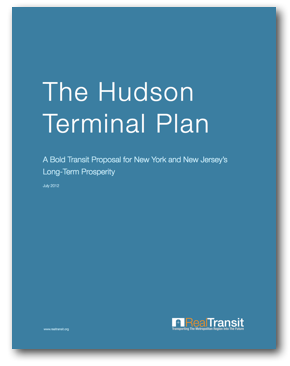 However, even after these projects are completed, there will still remain a noticeable gap in transit options to and from Manhattan’s West Side. The map below illustrates this gap in service by demonstrating pedestrian access to Manhattan subway stations. 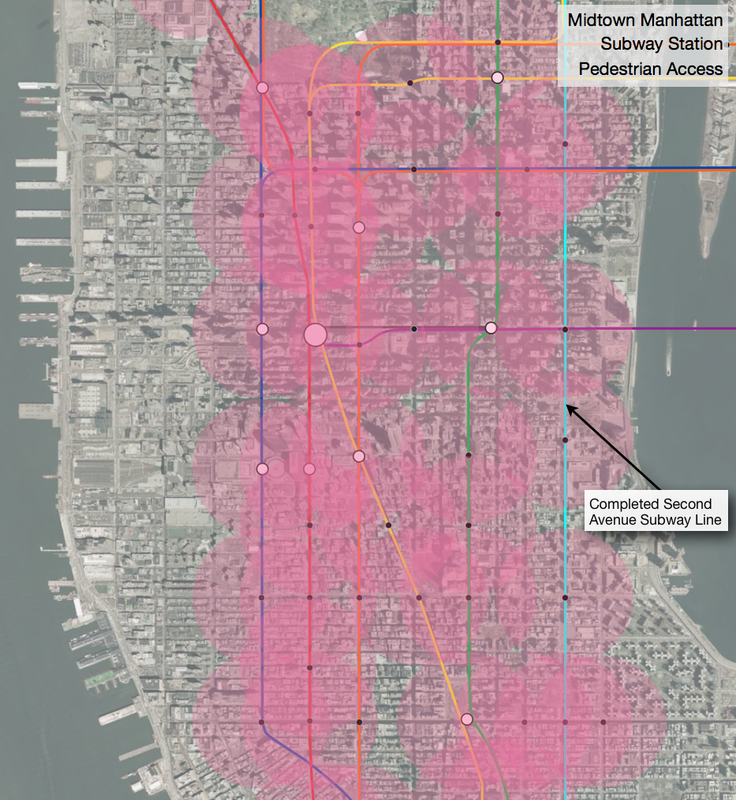 Each pink circle represents a 1,500 ft. radius equivalent to a five-minute walking distance. 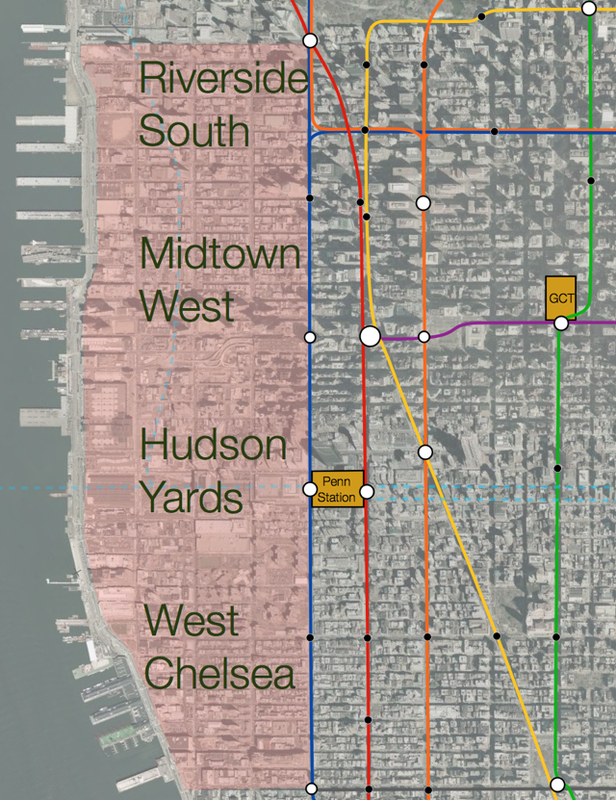 Note how the addition of the Second Avenue Subway corrects the East Side’s deficiency of mass transit options. Upon its completion, the completed Second Avenue Subway will provide workers and residents of the neighborhoods bordering the East River with access to mass transit for the first time since the demolition of the Second and Third Avenue elevated lines in the 1940s and 50s.